Twitter can be a great place sometimes. And during Nebraska’s 43-36 win over Arkansas State (0-1) in the season opener Saturday night, it didn’t disappoint. There was this one-liner from the best fake account out there after Nebraska (1-0) punter Caleb Lightbourn boomed a 50-yard punt only to have it returned 61 yards to the house, resulting in Arkansas State’s first lead of the game. One word. Simple. Then there was this from Brandi in London which is just really cool. 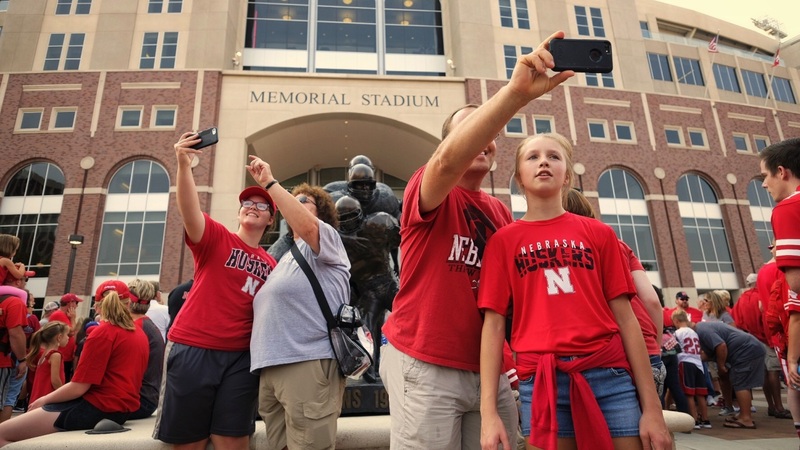 The geo-tag on the photo shows that this dedicated Husker is up at 2:00 a.m. in the morning to watch the season opener. Respect. With the Red Wolves driving deep into the red zone in the second quarter, sophomore linebacker Tyrin Ferguson caught a deflection from the line of scrimmage to turn Arkansas State over. Nebraska had saved itself, at the very least, three points. Then came a safety. And this perfectly timed tweet. This video of Nebraska senator Ben Sasse handing out Runza sandwiches at the game was just gold. This next one is a two-for, but you need the context. Midway through the game, the Huskers stadium lit up for some unknown reason. Fans in the crowd started shining flashlights. The Nebraska secondary appeared to all bleach their hair before the game. After senior Joshua Kalu picked off Arkansas State’s Justice Hansen in the third, this beautiful picture surfaced. More on the lights! Good tweet Brian, good tweet. Early in the fourth quarter, Arkansas State was threatening again and scored what appeared to be a touchdown that would cut a 41-26 Nebraska lead to just one score. Arkansas State caught the ball in the end zone, but safety Aaron Williams knocked the ball loose at the very last second. Then the Omaha World-Herald’s Dirk Chatelain made all Dallas Cowboys fans unnecessarily angry. This isn’t Nebraska related but there’s never a bad time to make a joke at Texas’ expense. Reminder: Kansas beat Texas at football. It’s like the “3-1” joke, it will never die.